The top 25 reggae albums for this decade — which ends December — was dominated by Shaggy but other dancehall artistes ranked highly, according to a list compiled by Splash. 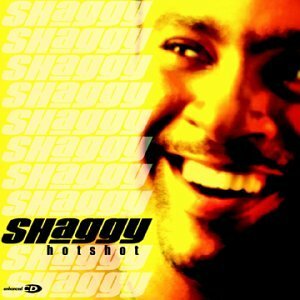 Topping the list was Shaggy’s 2000 release Hot Shots which sold over ten million copies and was amongst the most sucessful albums of the decade. Matisyahu was second, but he also made the top 25 three times. Shaggy, Sean Paul, Sizzla, Beenie Man, UB40 and Damian Marley each made the list twice. Music rankings are always controversial but Splash arrived at the findings, not by public opinion, but by analysing Billboard Reggae Album charts between 2000 to 2009 and ranked albums in order of weeks charted. Chart longevity indicated that the albums were not only popular but had that timeless quality as sales continued well beyond their release dates. One caveat was that Billboard did not reflect the Jamaican pop charts, as such some breakthrough albums did not make the cut, including Vybz Kartel’s Up 2 Di Time, Baby Cham’s Ghetto Story, Lee Scratch Perry’s 2002 Grammy winning album Jamaican ET, Richie Spice’s Spice in Your Life and I-Wayne’s Lava Ground. Also missing from the top 25 was Kevin Lyttle’s gold-selling, self-titled album and Elephant Man’s Good 2 Go which ranked 27 and 28, respectively. The charts still gave insight into top albums of the decade due to the size of the North American market and its influence on global sales. 12. Beenie Man’s Art and Life (Virgin), which charted for 84 and 20 weeks on the Reggae Albums and the Billboard 200, respectively, and was produced by Tony Kelly, Salaam Remi, Pharrell Williams and Chad Hugo. 18. Skindred’s Babylon (RCA), charted for 67 and 3 weeks on the Reggae Albums and the Billboard 200, respectively. It was produced by Howard Benson, Jason Bieler, Skindred. 25. Buju Banton’s Friends for Life (Atlantic/VP) charted for 50 and 11 weeks on the Reggae and R&B hip hop charts, produced by Dalton Browne, Clevie, Sly Dunbar, Donovan Germain, Mark Myrie, S Stewart, Steven ‘Lenky’ Marsden, Cleevie, Steelie, Jammy ‘Jam Two’ James, Cool & Dre.